Diving Unlimited International of San Diego, Calif., is calling scuba diving regulators that can malfunction, posing a drowning hazard. The firm has received three reports of units malfunctioning during diving. No injuries have been reported. This recall involves Ocean Management Systems (OMS) Airstream Evoque regulators for scuba diving. 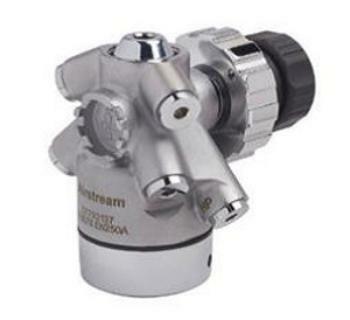 The metal regulator attaches to the scuba tank valve and controls the pressure of the air a diver breathes. “Airstream” and the serial number can be found on the body of the regulator. The regulators, manufactured Taiwan, were sold at authorized Diving Unlimited International dealers nationwide and online at www.divegearexpress.com and https://www.divedui.com/ from February 2017, through June 2017, for about $500. Consumers may contact Diving Unlimited International at 800-325-8439 from 8:30 a.m. to 5 p.m. (ET) Monday through Friday, by email at rcwatts@dui-online.com or online at www.divedui.com/ and click on “Service Bulletins” under the support tab at the top of the page for more information.